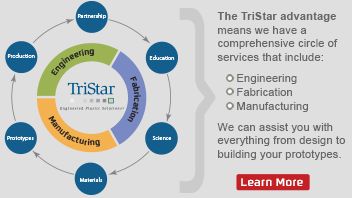 TriStar engineering services is an integrated engineering, process, and material consulting department that will support projects and companies as they work through their engineering challenges. Our goal is to take on big problems and provide manageable solutions. This service helps you identify parts that you have on hand to see what they are made of. An example where this would be useful is if a part broke off a machine (or just wore out) and you need to know what it is so you can replace it with the same (or better) material. We can employ a large selection of analysis techniques to solve many material and product identification issues. We offer a unique combination of chemical, physical, and surface analysis that can be combined to provide answers to a wide array of difficult questions. TriStar has analyzed materials from resin suppliers to ensure critical quality standards are maintained and has even exposed inferior counterfeit resins in finished materials. We have also used our testing programs to Identify unknown part materials from old equipment to generate the proper replacement material. Along the same lines, we frequently perform detailed analysis on a variety of substrates and use the data to propose alternatives for better performance and durability. We bring many years of combined material engineering expertise to bear to help you spec the best material for your application. 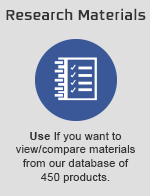 Whatever your needs, rely on our material selection professionals to help you choose the ideal material for the operating conditions and desired product life. 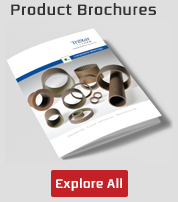 With thousands of materials available in the marketplace it can be daunting to find the ideal material for an application. Add to that the fact that a single material can be processed in several distinct ways and the resulting end properties can often be very different. It’s a lot to unpack. Once we’ve recommended a material we will take the next step to determine what method of manufacturing will optimize the material. Our vast experience in material selection has given us a large portfolio of applications to draw from. A customer thought they were buying a specific filled-PTFE material and were paying a premium price. Our engineering team was able to determine, through a process developed by Harvard University chemists, that the material they were paying top dollar for was - in fact - counterfeit. In another situation, a customer used data from a spec sheet generated by the resin manufacturer and cited some specific data to justify his design. What the customer didn’t realize that the data generated by the resin supplier did not consider the method of manufacturing the end product. In this case, the product failed in the field because the original data sheet showed greater properties than the actual product made. For companies that have overworked engineering departments or lack engineering resources, we can become an extension and support resource to help implement new designs or develop better manufacturing processes. We can help streamline current manufacturing lines or invent new ones to bring concepts to fruition. Our extensive experience in materials science and engineering means we can often see a better way of doing things (e.g., recommending overmolding where machining was previously used). Research and development of new equipment (this can include design responsibilities). Monitoring of equipment – including regular testing and ensuring maintenance tasks are carried out. 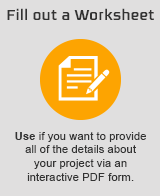 Completion of documentation to show and ensure compliance with both internal and external regulations and protocols. Oversight of processes and working to maintain optimization of the production line. Assisting process technicians in troubleshooting in the event of a problem. Data collection, interpretation and report writing. Presentation of data and reports to senior colleagues and management. Risk assessments of the equipment and processes being used. Of course, this refers to staff safety and safety within the plant; but this can also extend outwards to include things such as the environmental impact. Continual evaluation of equipment and processes to ensure both efficiency and quality remain high. Use of simulation software in the development of new processes. TriStar was asked to help transition an auto-injector device for a liquid medicine from the design phase to final manufacturing. The work entailed a detailed design review, creation of design history, FMEA of the device and manufacturing process, engineering studies, and final release to end customer for product launch. We offer expert advice and analysis on CAD design projects and our testing labs can help you evaluate processes and end results. We have full capabilities with regard to evaluating part drawings, whether PDF or CAD, and work closely with customers to establish the producibility of parts in a polymer (especially important in metal-to-plastic design changes). Our systems allow us to look at the customer prints, make suggestions for possible geometry changes based on the application and material selection, and then turn them into prototypes for testing. As we evaluate a given application we also can assist in changing the design to optimize friction and wear of the material (in bearing applications) or modify a structural component to be machined or molded with the least amount of material possible.